Mary Kom added a Commonwealth Games gold to her illustrious medal cabinet, thrashing Northern Ireland's Kristina O'Hara in the final. 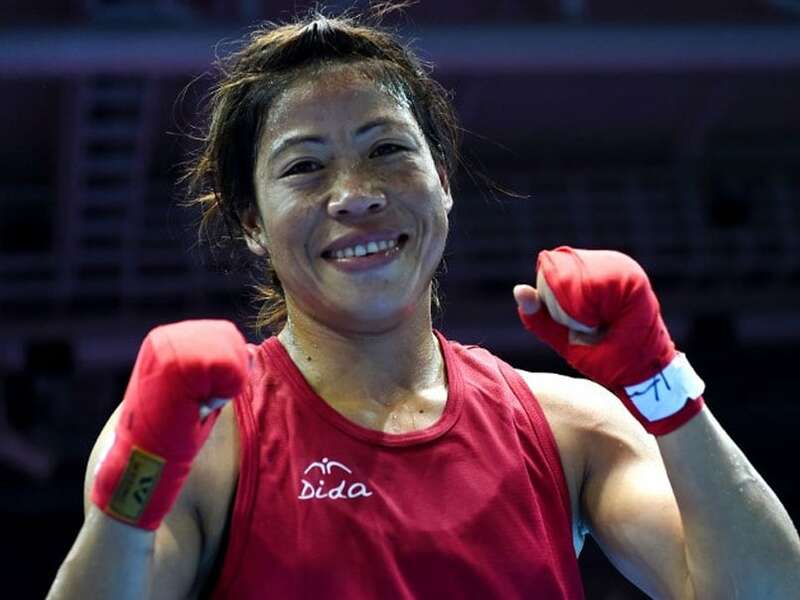 Mary Kom gave India a rollicking start in Day 10 of the 2018 Commonwealth Games in Gold Coast, Australia by winning gold in the women's 45-48kg boxing category. India's legendary boxer, who was making her Commonwealth Games debut, beat Northern Ireland's Kristina O'Hara in the final by an unanimous decision to add a CWG gold to her already illustrious medal cabinet. 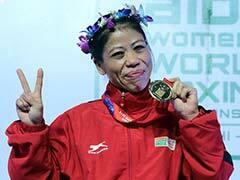 Mary Kom's medal cabinet already includes an Olympic bronze from London 2012 and five amateur world championship titles. India's star boxer celebrated India's 18th gold medal at the Gold Coast Games with a victory parade on her coach's shoulders. Mother-of-three Mary Kom, the subject of a Bollywood film in 2014, was the deserved victor, outboxing her Northern Ireland opponent. The 35-year-old five-time world champion seemed a bit edgy in the first round but got her act together in the next two rounds against Northern Ireland boxer, who also put up a commendable performance. While O'Hara connected with some stinging punches, the movement and skill displayed by Mary Kom was too hot to handle. The 22-year-old Northern Irish fighter lacked the experience and some finesse to hand the Indian legend the advantage. Despite a height advantage, O'Hara failed to make her longer reach count as Mary Kom came in close and kept connecting with her right hooks. Mary Kom had claimed the Asian Championships gold five months ago, before ensnaring the top honours at the India Open in January. She had won a silver medal at the Strandja Memorial Tournament in Bulgaria before coming here.